Michelle H. Cameron, M.D., P.T., O.C.S. Michelle is a practicing physician and a physical therapy clinician, educator, researcher and author. She is also the owner of Health Potentials, a health education and consulting company. She received her MD in Medicine and her BS of Physical Therapy from the University of California San Francisco. Michelle’s published works include “Physical Agents in Rehabilitation From Research to Practice 4e”, “Physical Rehabilitation for the Physical Therapist Assistant”, and “Electrical Stimulation Ultrasound and Laser Light Handbook”. 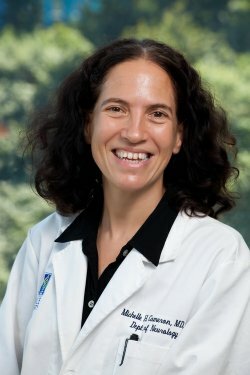 She has also authored several articles, including “Imbalance in multiple sclerosis: A result of slowed spinal somatosensory conduction”, “Cognition-based interventions for older people and people with mild cognitive impairment”, and “Transcutaneous electrical nerve stimulation (TENS) for dementia”. You are here: Home / Authors / Michelle H. Cameron, M.D., P.T., O.C.S.